Water World proudly wears its badge as being one of the country's top ten water parks, awarded by the Travel Channel. With over 46 attractions offered to its guests, this park has something for everybody! This park also boasts itself as one of the best family friendly parks in the country given the large number of family tube rides available for enjoyment! For example, check out the Tandemonium where you can speed down a tube on a double raft, or the Screamin' Mimi! Alternately, try the Pirate's Plunge to experience curves and dips as you are body slide down terrific tubes! Thrill seekers in your group have to try out the Eagle River that interweaves plumes and tubes for a crazy fast tube ride down to the pool! The Double Dare is also a fun ride where you and your partner can race another duo to the end and see who wins! A memorable adventure is The Revolution where you and your buddies travel through a six story collection of tubes designed to spin and circle you around up to the very end! Be sure to also check out the tidal waves at Thunder Bay Wave Pool! FREE Parking, picnics welcome, coupons for discounts around the park and more! Priority Mail Order Delivery option available! Don't wait in line on your first visit, head straight for the entry turnstiles! Your Splash Pass Wristband works for park entry! No card to carry! Unlimited Monday-Thursday visits all season. Value Splash Pass Benefits Unlimited visits any day of the week all season. Save 20% on all food, merchandise, individual photos, Personal Tube Rental & Tube Valet purchases all summer when you purchase with your Splash Pass Wristband! Bring a Friend discounts- save $10 (one ticket per day, per pass)! Add an all-season meal plan to your Splash Pass for only $69.95! For one low price, enjoy one meal per visit (that's up to 90 meals)! All-Season Dining available for purchase starting in February! 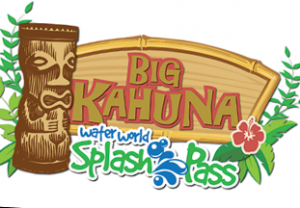 Preferred Splash Pass Benefits & more! To view Water World Admission Tickets, other Specials and Coupons, go to their special page by clicking here. Water World updates this page throughout the year, so check back to see if new specials and coupons have come in. Note to our visitors: Water World Specials and Coupons can change without notice. So please visit their official website to make sure of the latest pricing and coupons.